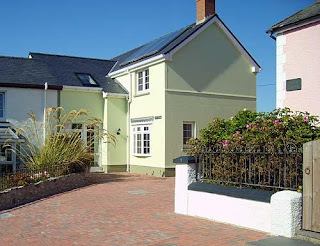 Ogof Lludw offers wonderful self catering accommodation on the sea front at Aberporth. Overlooking Cardigan Bay, on some days dolphins can be seen swimming out front. The property has a large private patio area with seating facilities at the rear of house. This area overlooks the sea and on a clear day you can see as far as Penllyn in North Wales. There is also a large lawned area with seats overlooking the beach. Inside you will find 4 bedrooms, a large and comfortably furnished lounge, dining room, kitchen, bathroom and small conservatory. Aberporth has a number of shops, pubs and a takeaway. A walk along the coastal path connecting Aberporth and the nearest village Tresaith is a must, as the scenery is gorgeous. The village has easy access to the market town of Cardigan which is just 7 miles away.